Home - European Auto Specialists, LTD.
European Auto Specialists provides top notch work on so many makes and models - from BMW, Mercedes Benz, Saab and Audi, to Porsche, Ferrari, Volkswagen and many many more. We're an honest and reliable auto repair shop in Cincinnati Ohio. And that's what you are looking for, right? European Auto Specialists will treat you, and your vehicle, with respect. 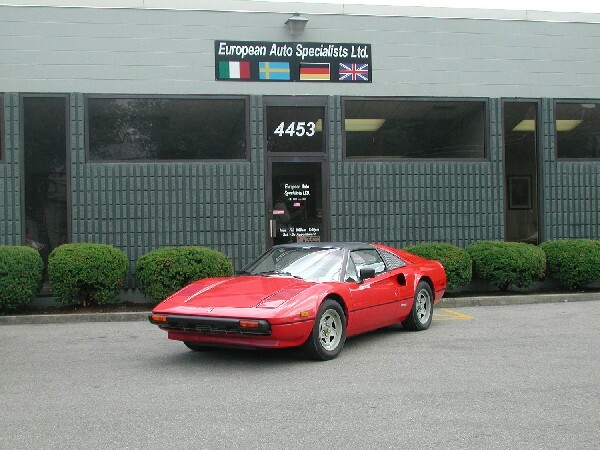 European Auto Specialists is your Cincinnati vintage car repair specialists. We have vast experience working with Austin Healey, Triumph, Aston Martin & other vintage vehicles. You love your car, and you want it to run in tip top shape. Bring your vehicle into European Auto Specialists for regularly scheduled maintenance, as well as major repairs. Why Are We the Best Import Auto Repair Shop in Cincinnati? For your convenience, you can schedule a service online or even ask an expert about your fine European or American vehicle. When it comes to your vehicle you’re very particular. At European Auto Specialists, LTD, we offer best-in-class services for both foreign and domestic vehicles. We’re honored to be 2013 and 2014 Angie’s Super Service Award recipients. So when you think “auto repair Cincinnati”, think European Auto Specialists! Your vintage vehicle isn’t just any machine. It’s a classic. Care for it like the piece of art that it is. When it comes to repair, only trust a Cincinnati mechanic that specializes in vintage cars like European Auto Specialists. Our mechanics share over 60 years of combined experience fixing classic and historical vehicles. We’ll handle your car like it was our dream too. Our mechanics understand how to care for a vintage vehicle and give it that special touch. They live and breathe vintage vehicles, and often own a classic car or two as a hobby themselves. It’s your baby. Let us take care of it. Mechanic Cincinnati European Auto Specialists, Ltd.
From Audi and BMW to vintage VW and Volvo, you won’t find a mechanic in Cincinnati with experience on more brands from more eras! We’ll turn that old banger racer into a museum piece, finely tune your Mercedes weekend cruiser for better performance or just diagnose that Saab you drive to work every day. European Auto Specialists, Ltd. truly does it all! We have two ASE Master Mechanics and one ASE Automobile Technician on staff. We’re honored to be 2013 and 2014 Angie’s Super Service Award recipients. We offer best-in-class services for both foreign and domestic vehicles. We specialize in vintage vehicle service, to keep your classic in top-notch condition!